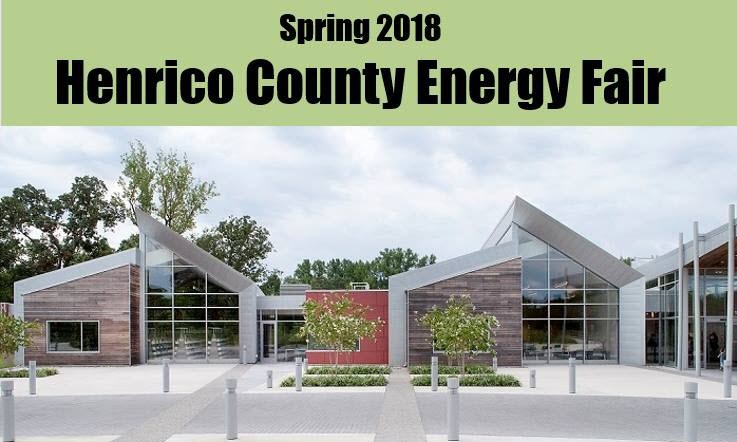 You’re invited to the 2018 Henrico County Energy Fair! This is a little bit outside of our territory but conserving energy and money is important to many of you, so why not give it a go? It’s very important to me to spread energy education and help people learn how to save energy (and money) and be more eco-friendly in their everyday lives. They can expect to learn about local resources such as home energy audits, solar power, recycling, LED lighting, etc. They can tour the new LEED certified library (memberships for city residents too!). And there will be free gifts and food! Check out the event’s Facebook page for more information.